The 24W Interpet Daylight Lamp is a high output market leading Triphosphor light designed to be suitable for both Freshwater and Tropical Aquariums. 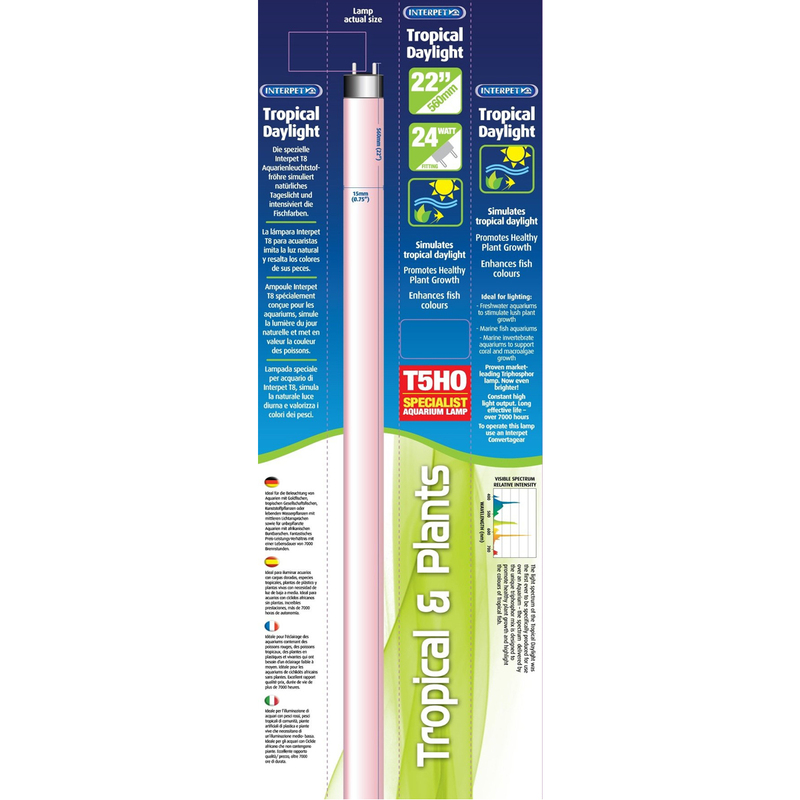 The Interpet Daylight Lamp provides a bright and rich tropical daylight spectrum which promotes both healthy plant growth and enhances colouration in your tropical fish. The Interpet Daylight Lamp is also ideal for Marine Aquarium setups to promote coral and macroalgae growth.